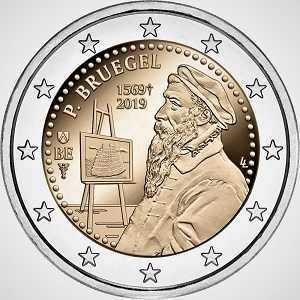 Now, beginning of February, I'll start adding the new 2019 Commemorative Coins as they appear, as well as any announcements from the various countries about intended issues later in the year. 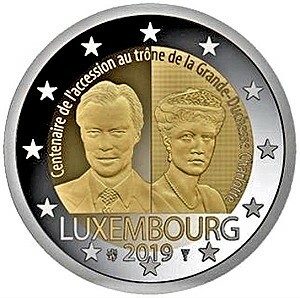 Hereunder are the commemoratives of 2019, arranged alphabetically by country rather than chronologically. This will be updated weekly, so come back for the latest news. 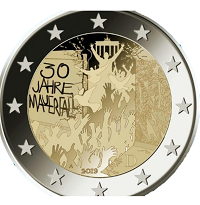 Germany plans to issue a new commemorative coin in the autumn to commemorate the 30th anniversary of the fall of the Berlin Wall. It should look like the image below. Will keep you informed when more information becomes available. 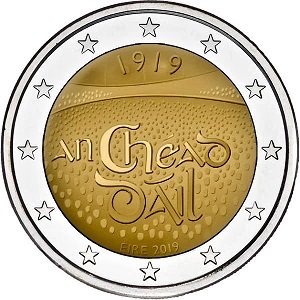 The coin honours the first meeting of the "Assembly of Ireland", or “Dáil Éireann” in Irish Gaelic. 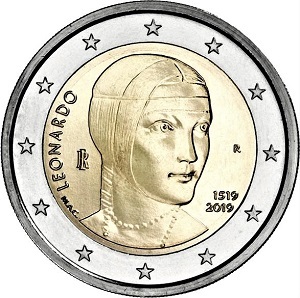 2019 -ThThis coin commemorates the 500th anniversary of the death of Leonardo da Vinci. 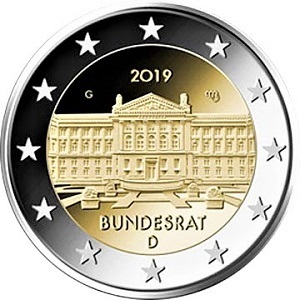 2019 - Commemorating 70 years of German Upper House. 2018 - City Wall of Álvilas. 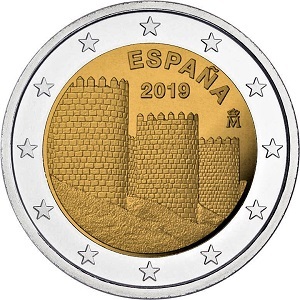 Return from Euro Coin News 2019 to euro coin collector.